Delemma » Fashion week in Paris…….. are the days of the Catwalk numbered? Fashion week in Paris…….. are the days of the Catwalk numbered? 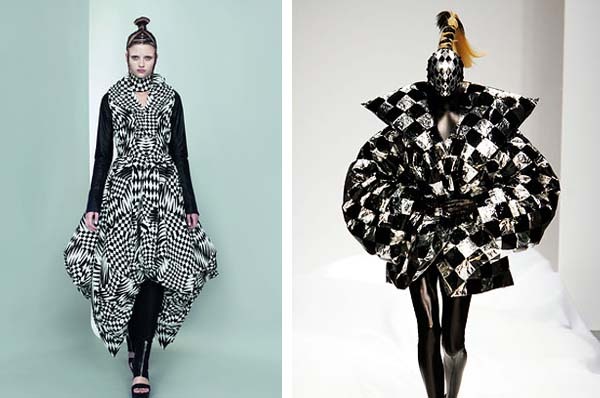 The desire to communicate his collection to millions of people is what led British fashion designer Gareth Pugh to show a fashion film rather than present a catwalk show at the 2010 Paris Fashion Week. Explaining why he chose film rather than the catwalk Pugh has said the main thing for him, was to communicate his ideas to a wider audience. He said he could do that more effectively with a live show. But when Pugh announced his decision to show a film rather than present a catwalk show at the 2010 Paris Fashion Week, not everyone in the fashion world was impressed. Referring to Pugh’s film as a ‘revolutionary statement’ (by him) about the future of fashion marketing, Wall Street Journal’s Christina Binkley described the scene as fashion goers arrived expecting to attend a fashion show. ‘They sat’ she said, ‘pens and cameras at the ready’. However, instead of a catwalk show, Pugh issued a statement about his decision to present a fashion film, calling it a “modern alternative” to live catwalk events. “I really want to present my clothes to a wide audience and in a more freeing and interesting context than a standard fashion show,” he said. From the tone of Binkley’s article it appears that the invitees physically present at the show were less than impressed with Pugh’s statement championing the allure of the wider audience. One can only imagine what the audience felt about this ‘modern alternative’ to the catwalk event they thought they were attending. After all, it was fashion week in Paris. Binkley makes her position clear. She dismisses the film (which consisted of one model wearing Pugh’s creations), describing it as a dialogue-less film featuring a single model ‘striking a variety of poses and stretches that can be summed up as … trying really hard to be artistic”. Further, Binkley complained that at the end of the film she still hadn’t seen Mr Pugh’s clothes. In her view, Pugh’s film took neither fashion nor film anywhere they haven’t been in the past decade. However, not all fashion commentators dismissed Pugh’s fashion film. Sunday Times fashion writer Lisa Armstrong took a different view of what she called Pugh’s ‘abandonment of live catwalk for film’. According to Armstrong, who says that replacing live fashion shows with film generally results in a ‘sterile copout’, the Pugh fashion film worked for her. Referring to Pugh’s normal ‘catwalk extravaganza’ Armstrong praised the originality of condensing the event into an eight minute video using just a single model. Armstrong says that Pugh’s clothes, which she describes as ‘immense carapaces’ have always been impressive on the catwalk, but she says that the combination of wind and movement transformed them on film into a ‘little piece of performance’. So there you have it. One fashion pundit calls it a failed attempt at being artistic; another elevates it to a piece of performance art. And then of course there is his quest for the wider audience. Pugh is not the first designer to turn his back on the extravagant fashion event where the select few invitees, vying to sit in the front row, watch the show with a few TV cameras picking out the two minute spot for television replay. Or waiting for the magazines to print photos of the shows. On the other hand fashion films are out there on the same day strutting designers’ stuff to millions online. Whichever way it goes it seems clear that there has been a complete turnaround in the fashion industry. The movement is away from a select closed-shop group of industry insiders and buyers towards utilising new technology as a means of showing a collection to a much larger demographic audience. Bloggers, Facebook, Twitter, You Tube. Fashion Films, and whatever is the next new big thing. It might be a case of ‘I’ve seen the future and I don’t like it’ but few would deny that the mix of fashion and technology is here to stay.